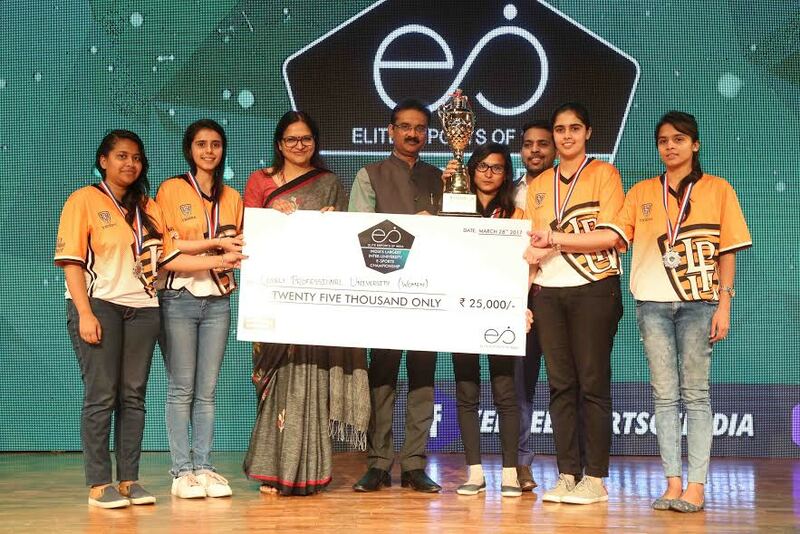 Jalandhar: US based online gaming ‘E-Sports of India’ has declared Lovely Professional University students’ team “National Champions” at India’s largest Inter-University e-Sports Championship. Much popular in South Korea, Europe, North America and China; this national championship of e-sports was organized first time for students in India. The five-day e-game of “Counter Strike-Global Offensive” was held under the patronage of AIU (Association of Indian Universities). LPU students’ boys’ team defeated DAV University and won First Cash Prize of Rs 50,000; whereas, LPU girls’ team stood first runner-up and got Rs 25,000 prize. Girls of Punjab University excelled in the women category. Championship was viewed live by a large number of viewers world-wide at www.twitch.tv/eesindia. E-sports are so much popular that during yester-year, ‘World Championship’ of such events drew 43 million viewers, which is far more than America’s NBA sports Finals. LPU Chancellor Mr Ashok Mittal congratulated the winners and further motivated them to excel in the field on global level. LPU is the first university in India to host first ever AIU-sanctioned national e-Sports tournament. ESOI Founder Richard Whelan describes this new project as the “fastest” growing sports field. Highlighting, e-Sports (electronic sports) are so fast flourishing and speeding up games that these can even be included in Olympics within some years henceforth. In fact, world renowned broadcasting companies are creating a televised e-sports league called ‘E-League’ to be broadcast on popular television networks. Growing competitions and viewership for e-sports now supports a significant number of amateur, professional players and teams. On these lines many of the game developers are engaged in building great features into their game-designs to further facilitate more enthralling competitions. Participation and spectatorship of such events have seen a large surge in popularity. It has been estimated that approximately 100 million people watch e-Sports worldwide, as the increasing availability of online streaming media platforms has become central to the growth and promotion of e-Sports competitions. Like IPL in Cricket, e-sports can seek more solid corporate involvement to help amateurs including students through e-leagues. LPU Team Captain Harsh and co-player Prashant informed that the game ‘Counter-Strike Global Offensive’ (CS: GO) is an objective-based multiplayer first-person shooter game. Players play as one of two teams-the “Terrorists” or the “Counter Terrorists”. Both of the teams have different objectives. The “Terrorists” are to plant the bomb and have it explode or to protect the hostages, depending on the map. Whereas, the Counter-Terrorists’ are to prevent the bomb from being planted and exploding, or to rescue the hostages.